2016 Ford Fusion For Sale In Vernon, Kelowna, Okanagan, BC. Enjoy an eco-friendly, stylish car with the 2016 Ford Fusion. This four-door sedan provides modern styling, luxurious comfort and efficient performance for today's drivers. Take the family along in a car that seats five. Select from eight trim levels: S, SE, S Hybrid, SE Hybrid, Titanium, Hybrid Titanium, Energi SE and Energi Titanium. Modern design is showcased by the athletic lines and sleek silhouette of the 2016 Ford Fusion. A hexagonal grille and laser-cut projector headlights highlight the bold styling while the LED taillights leave a lasting impression. Numerous wheel options and multiple colours allow you to customize your car to create a unique look. Choose Deep Impact Blue, Ruby Red or Shadow Black to fit your style. 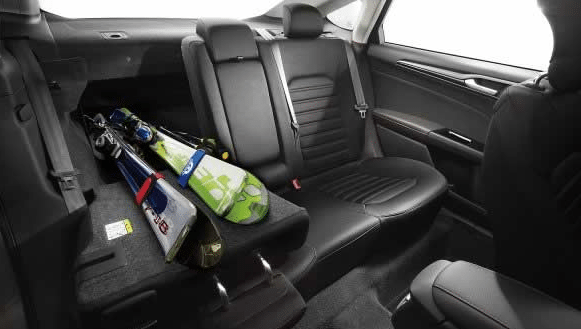 Relax in supreme comfort inside the 2016 Ford Fusion. Soft-touch surfaces and premium craftsmanship create a refined cabin while the available ambient lighting allows you to show off your personal tastes. Select from multiple colours such as Ice Blue® or Purple. Sink down into the 10-way power driver's seat that includes lumbar support for those long drives. Select your favourite fabric from cloth made from REPREVE®, leather and leather trim. Feel safe with features such as BLIS® with cross-traffic alert, available lane-keeping system and forward collision warning. Active park assist makes parking easier. Advanced technology adds to the comfort and convenience of every trip with available SYNC® with MyFord Touch® and Bluetooth® hands-free communication. SmartGauge® helps you be more efficient in your driving while MyFord® Mobile enables you to charge your plug-in hybrid easier. 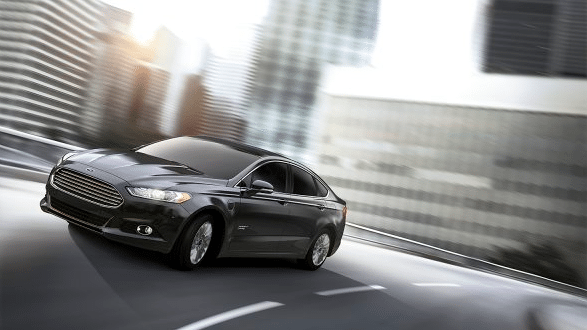 Choose from four engines with the 2016 Ford Fusion to get the performance and efficiency you want. Two EcoBoost® engines provide enhanced fuel economy while the hybrid and plug-in hybrid engine enable you to utilize electricity for a more economical journey. Electric power-assisted steering and the independent suspension system provide a smooth ride. Available paddle shifters come with the 6-speed automatic transmission while the intelligent all-wheel drive ensures that you get where you need to go. 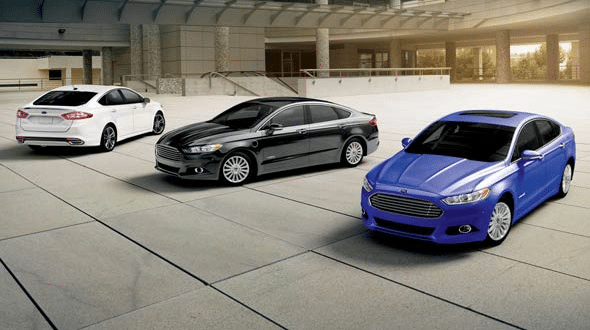 The 2016 Ford Fusion promises to continue the tradition of excellence found in previous models. Advanced safety features on the 2016 Ford Fusion help keep you safe on the highways. The 2016 Ford Fusion is backed by a solid Ford Warranty. 2016 Ford Fusion For Sale In Vernon, Kelowna, Okanagan Valley, B.C. Modern design and technology have created a contemporary car that fits the needs of drivers today with the 2016 Ford Fusion. This sedan has plenty to offer with luxury amenities and efficiency. Numerous trim levels ensure that you have a Ford car that works with your driving style. Visit your local Okanagan Ford Dealer – Watkin Motors Ford to find out more about the 2016 Ford Fusion. Learn about this new model or check out our other available Ford models in inventory. No matter what you need, you are sure to find it at Watkin Motors Ford.